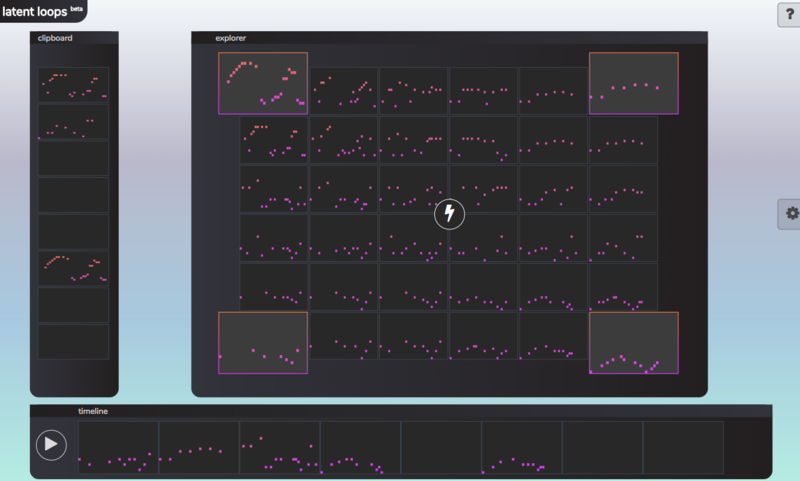 Latent Loops uses Magenta to let you sketch melodies on a matrix tuned to different scales, explore a palette of generated melodic loops, and sequence longer compositions using them. Musicians can create full melodic lines using this interface and then easily move them over to their DAW of choice. Latent Loops was a project built with my colleagues at Google's Pie Shop, and was demoed at Google I/O 2018. Want to receive very infrequent emails from me?